From an ugly view to a beautiful clean beach. 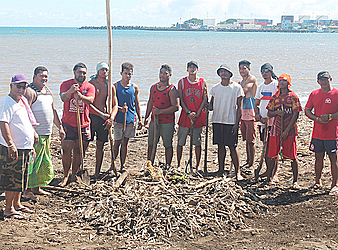 That’s how the black sand beach at Vaisigano was on Thursday afternoon after the untitled men and the Apia village rugby team descended upon it with their working gear to clean the beach. One call from Tuiletufuga Siaosi Tuiletufuga, the Mayor of the Apia Village, to the men of the village and all of them responded. 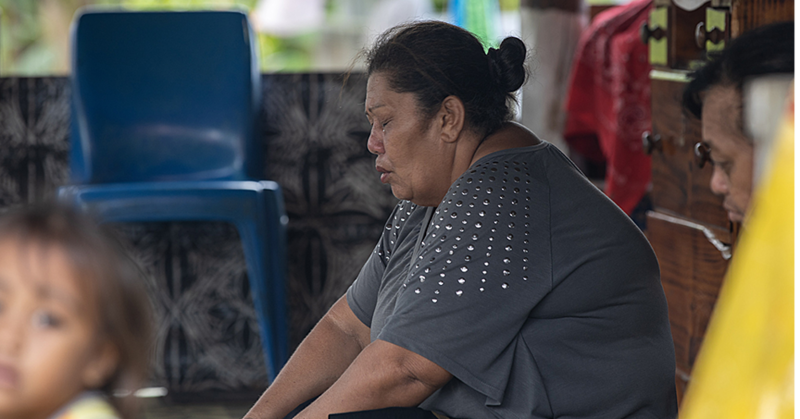 The call follows a story in the Samoa Observer about the ugly state of the beach. 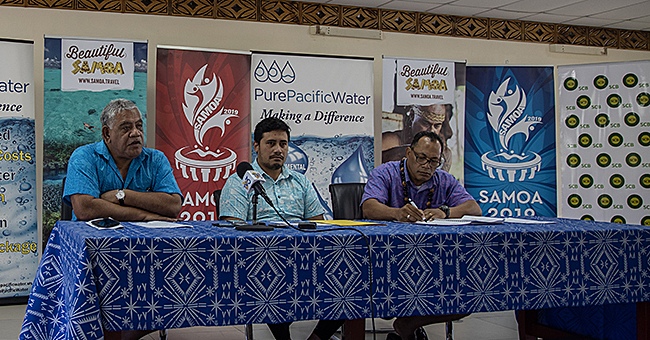 Tuiletufuga said it was a good thing that Samoa Observer contacted him about the issue. “I called the men from our community and now we are doing the Ministry of Natural Resources and Environment’s job." “I’m really happy that you called. When the Samoa Observer called yesterday about this matter, I knew the best thing to do was to do it ourselves." Tuiletufuga said the mess has been there for a while now and they did not want to wait any longer. 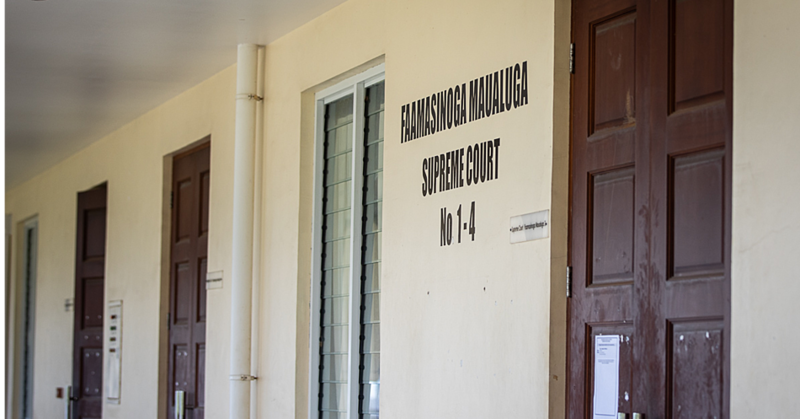 “We discussed this unattractive scenery before in our previous meeting with the village and the Ministry of Natural Resources and Environment is responsible in cleaning up the Vaisigano Beach,” he said. “What I’m disappointed about is the other side of the beach where the bridge is. From there comes a really bad smell and it’s because there were dead dogs on that side." “So whoever was on that side, should have thought about putting an end to that smell, they didn’t have to wait for who’s going to make the first move." “Every day when I go on my morning walks, the bad smell is always there and we don’t want that." Tuiletufuga advised the people who are currently staying in the Vaisigano area as well as other members of the public, to keep our country clean and neat. Last week, a concerned member of the public, Pale, complained about the “unattractive view” at the Vaisigano Beach. “It’s just sad to have this kind of view especially in Apia, the main town of Samoa. You see a nice hotel on the other side of the road, which is nice and very attractive. But then if you turn to the other side and you can’t help but frown." “Our government and the Ministry in charge of this should look at this carefully." “If they want to attract more tourists, then they need to keep our country clean. We all need to keep this in mind." “What’s the point of having fancy hotels and beach fales out in the villages when the first thing tourists see in town is rubbish lying everywhere."